It’s October 13, 2016 and time for Northern California’s answer to CEDIA. For one day the Oakland Airport Hilton is transformed into a custom installation industry show. 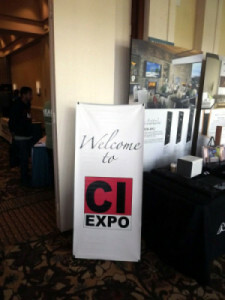 I wasn’t sure I would be able to attend the CI Expo this year as 45 hours before I got to the show I was at Kaiser, having Ulnar nerve surgery on my right arm. Fortunately, the surgery went well and thanks to my new friend, Mr. Vicodin I have no pain. My wife Diana drove me and took notes, for which I was very grateful. After registering, I opted to visit the demo rooms first. My thought was they would be less crowded and I could spend more time if I wanted. The first room was D&M Holding, which is Denon and Marantz’s parent company. I spoke with Mardi Gino, D&M’s Western Director of Sales, about the line. 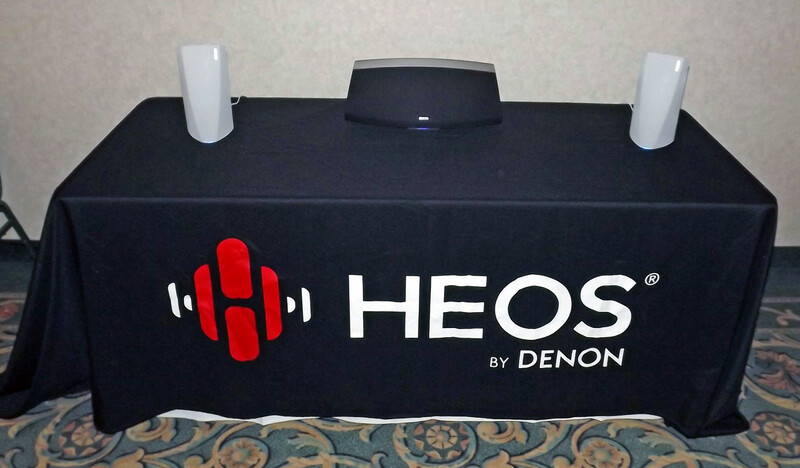 Scattered around the demonstration room were various Heos products. Heos is one of Sonos’ main competitors in streaming market, but Sonos apparently didn’t feel that imitation is the best form of flattery by their response. They sued Heos and two-plus years later it is still in the courts. Time will tell what happens next. 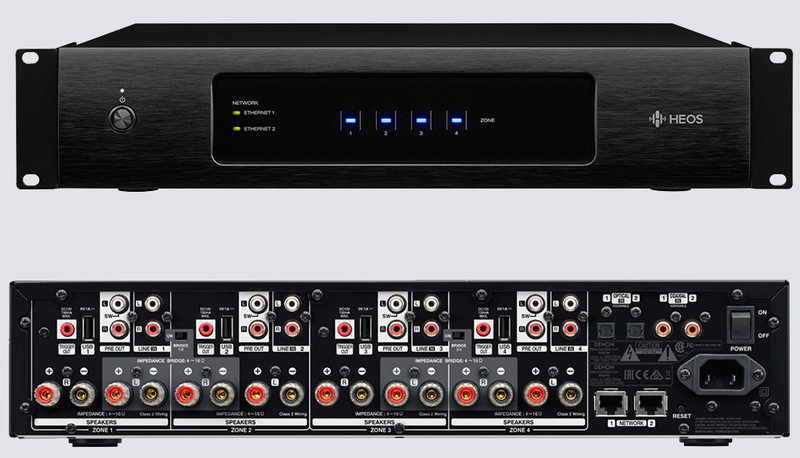 Since then, two other major competitors, Yamaha MusicCast and DTS Play-Fi, have also entered the market. 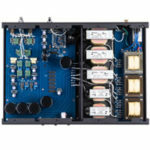 Heos, to date, has expanded their line to ten products, which includes four speakers and a sound bar, a battery pack for their Heos 1 speaker, a single zone and 4-zone amp, a single zone pre-amp called a Link and a wireless network extender. I had the opportunity to listen to several of the speakers. I could immediately tell that Mardi was using compressed audio, so I requested a change to high-res; the best he could provide were WAV files. 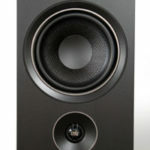 The first speaker I listened to was a pair of their Heos 3 at $299 each. 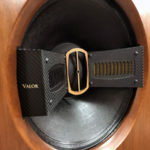 Imaging was good and the bass was surprisingly respectable for their size, considering each cabinet uses only a pair of 2.5″ full-range drivers powered by a two-channel Class D amplifier, but there was a definite lack of air or openness to them. 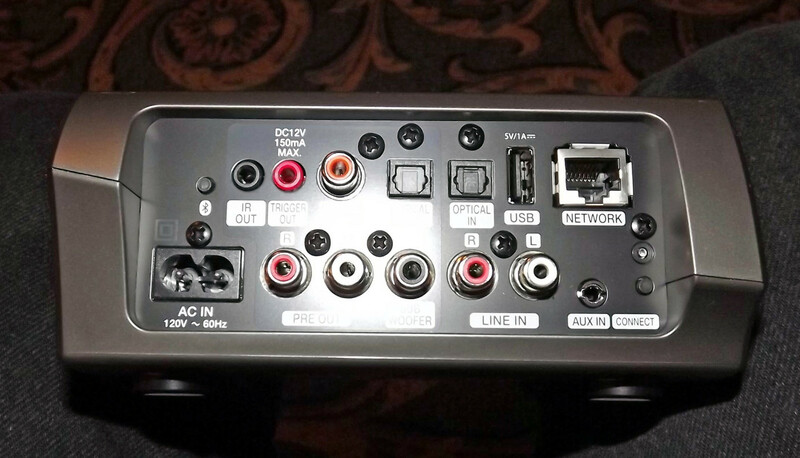 I should point out all the Heos speakers amplify each driver separately, have Bluetooth® integrated and can be used individually for mono, or as pairs for stereo. The second demo was much better musically. He fired up a single Heos 7 ($599 each), which has a small 4″ woofer, 2 x 2.5″ mids and a pair of tweeters. Technically, I would call this a tri-amped speaker. Highs were much better, but separation was limited. If you consider the selling prices, I would ether go high-end and use the Heos amp ($499) and hook up a pair of good small $1,500-range monitors like KEF LS50, Nola Boxer or Martin Logan Motion 35XT. 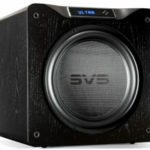 Or in the $600 range, I would also use the Heos Link pre-amp ($349) with a pair of Edifer S330D ($199) 2.1 Multi-media speakers, sporting 18W x 2 + 36W x 1, 6½” Woofer, 2″ mid, 19mm silk ring radiator tweeters. Far better performance for just a little more money. I guess what I am saying is that I really like the electronics, but am not blown away by the speakers, though they are a little better than the comparable Sonos models.